Oh man, do we have a damn good interview for you fine folks today! We have showcased some pretty amazing people from the world of television over the years, and today is absolutely no exception and very well be one of the finest we have had the pleasure of showcasing to date. His name is David Steven Simon, and he is very likely a creative force behind one of your favorite television series. For me personally, I did not realize that I was a huge fan of David’s work when I was watching two of my favorite sitcoms, The Wayans Brothers and The Fresh Prince of Bel-Air, yet there he was! I was also no stranger to one some of his other projects that we all know and love like My Two Dads and Mad About You. 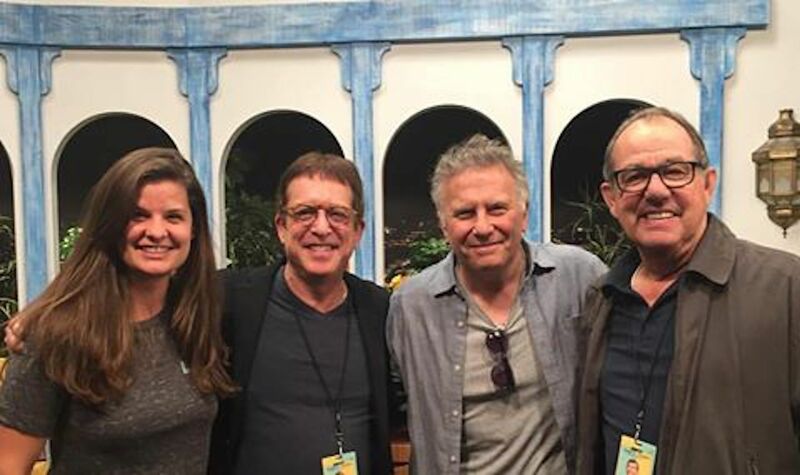 And those last two coincidently happen to feature a man who David is currently teaming up with again to create some new television magic, the great Paul Reiser. You all know that guy, I’m sure of it. David’s latest project, There’s Johnny, is already proving to be one of the most stellar television series to come out in these most recent golden years of television. The show not only chronicles the days behind the legendary days when the Tonight Show ran supreme, but gives a very clear and somewhat disturbing view of America in the 1970’s. I dare say that this project is unlike anything Mr. Simon and Reiser have worked on in the past. It’s something new, and it’s something brilliant. So ladies and gentlemen, please enjoy some amazing words from the brilliant producer, writer, and more, Mr. David Steven Simon! How did you find yourself in the world of television as a writer and producer? Was the world of television always something you aspired to get into? I was in acting class at 4. I went to the “Fame” school, the High School of the Performing Arts. 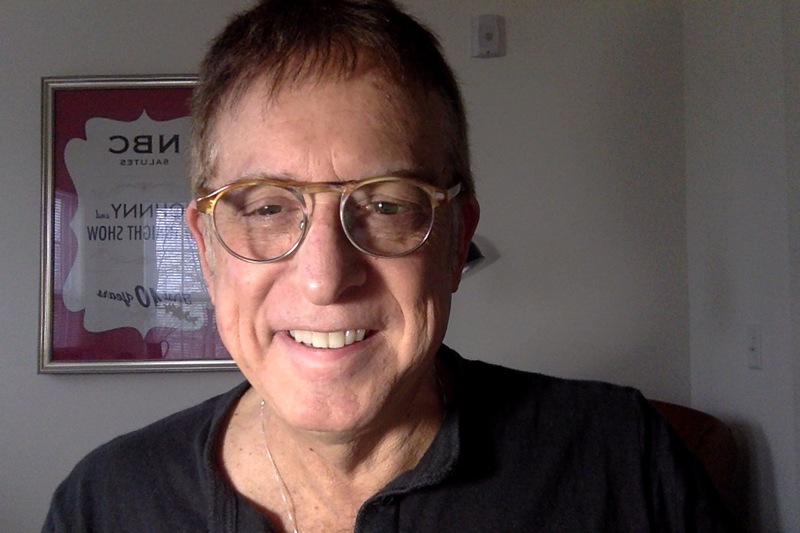 I had a four-year drama scholarship to college and then I became a publicist for United Artists (who were still based in NY) where I worked on three Oscar winners (Rocky, Network, Cuckoo’s Nest), the Bond films, Woody Allen films, Carrie and on and on. During those years is when I realized the effect that my writing could have. Moved to LA with no plan. Partnered up with another writer and right out the gate we had great luck. I wound up being under contract to the studios for years: Disney, Universal and Columbia. While I was at Universal that’s when I started meeting all the TV people there and little by little I started to gravitate towards their shows: Steve Martin’s The George Burns Comedy Week, Charles In Charge, and I wrote on shows like Knightrider (giving them comedy stuff) and I was everyone’s back up if they had a pilot. I wrote pilots too. When was the first time you can remember seeing your name appear on screen in the credits? Do you remember where you were when first saw it, and did you feel a certain way about it? First credit I think was for the movie In The Mood which Bob Kosberg and I got a story by credit (we wrote the first draft).I saw the film at screening in Westwood and I was floored. Wait. That’s me! First TV credit was actually Fernwood Tonight for Norman Lear. Everyone who owned a hand wrote on that so the credits went on forever: but there I was! First sitcom was Charles in Charge. My son had just been born so I put his name in the show. I have to say, I absolutely adored The Wayans Brothers during its reign. 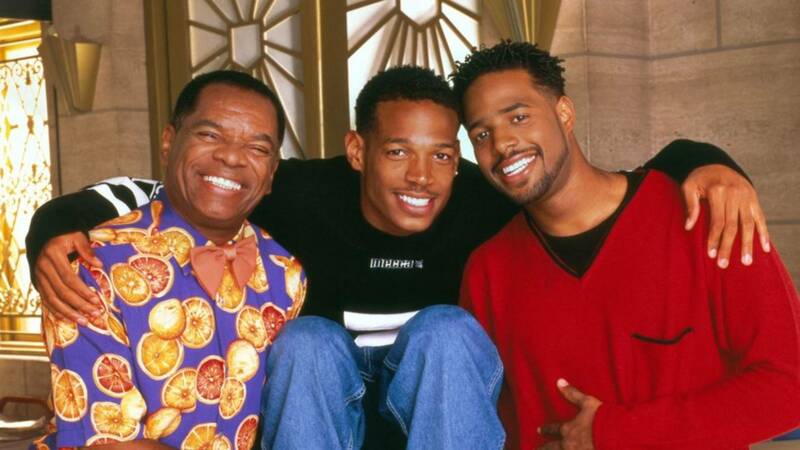 I know that the Wayans family was already well-established in the world of film and television, so it could have been a factor, but besides that, what inspired you make that show happen? We got a call from Warren Littlefield who was then the president of NBC. He said he wanted us to create a blue collar Fresh Prince with them. Marlon was off the charts hilarious. Sean was more smooth and relaxed. To me they were a black Martin and Lewis. But their casting especially of John Witherspoon did not go over well there. They felt John was too much of a cartoon. So from there: The WB! We had three shows in a row: Fresh Prince, Sister, Sister, The Wayans. We were fortunate enough to speak with Karyn Parsons about her love for The Fresh Prince of Bel Air, but what was your experience like in creating this fine program? And in your opinion, what made Fresh Prince unique in its own right? I didn’t create it. The Borowitz team did: Susan and Andy. I came on after being on what was about to be that season’s hottest new comedy: The Royal Family with Redd Foxx…until Redd suddenly died on the set! Overnight we were cooked. Over. The show went on but by then we were on Fresh Prince. The show was a delight because everyone was so full of gratitude and appreciation. Will was a young genius. I had never seen anything like it. He was barely 19 when we came on. A kid. His mind was on fire. Karen was a willing clown. SWEET. They all were. Other than the original mom: and she got wished into the Cornfield because life was too short and she was making eveyrone but mostly Will VERY unhappy. You have recently joined back up with your old My Two Dads and Mad About You pal, Paul Reiser with There’s… Johnny. How has it been to get back into writing with Paul? Is it like old times for you? I met Paul 32 years ago and we have been laughing ever since. I have worked with two people who were exactly the way you hoped they’d be like: Paul and John Ritter (I did Hearts Afire with him). Paul is a genius and working with him on this, some 19 years after Mad About You was a revelation. I always felt that Paul was underappreciated. Helen got all the awards and attention, but behind the scenes it all began with Paul. I mean they were equal in weight and “ran” the ship together….but the world needs to know how great Paul is and this show is going to blow people away. It is NOT what people expect. It’s not a comedy. It’s not That 70’s Show with whacky Tonight Show clips. It’s about the seventies which were very powerful and VERY dark times. Jane Levy’s performance is breathtaking and Ian Nelson, the star, is going to melt a lot of hearts. We use the Tonight Show clips as a kind of Greek Chorus which shows how American felt…and acted at the time. No one plays Johnny, Ed or Doc. Or anyone famous. The illusion, like Larry Sanders, that it’s happening right then and there. David Gordon Green, another genius in my opinion, KILLED on this. It looks like a movie—and we had a barely one million an ep budget! When you look back on your very successful career in the world of television writing and producing, what would you say you are most proud of? That my kids are proud of me. That means the most. I am writing more now than I have in my entire life. I shoot comedy shorts every year for film festivals. Looking back every show was a life lesson: great people. I have a new play that is getting a full production in 2018. I’ve roped in Tony Danza who blew my mind in our show. What a talent and what a sweetheart! I tend to look back at my career and think: Wow: I got a weekly paycheck in Hollywood for 21 years! That’s a miracle. Like I said: next up: my play Grave Doubts: A new Comedy full of Plot Holes. Stay tuned for that. We have plans for casting that are really exciting. The TV director/wizard/theater director Assad Kelada is the guru behind the scenes. HULU premiered our new show, There’s Johnny on November 14th. Seven episodes. It is going to shock people. It’s not a light, fluffy look back at the era. It comes packed with a genuine emotional wallop. Plus you get to see George Carlin, Don Rickles, Jack Benny, Jerry Lewis, Albert Brooks and on and on and on. I also write every day on Huffington Post. Search David S. Simon and you can read my scathing pieces on Trump. Groundhog Day, the musical. Landing back in New York after being in LA for 8 months. Watching the Yankees without having to pay for MLB. Seeing my peeps. Every dog that I pass on the street. Thought: why don’t women come with tails? Then we’d know what they really feel about everything.